I asked you for feedback about #EditorTherapy and you provided it via the first #EditorTherapy survey. I appreciate your feedback so much and will use it immediately to improve #EditorTherapy chat. 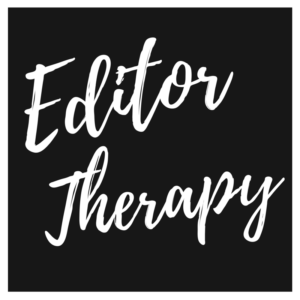 In case you haven’t heard of it, Editor Therapy is a place student editors can come to get answers to their most pressing student media concerns and advice on issues ongoing in their newsrooms. The weekly #EditorTherapy Twitter chat is hosted by me (Kenna Griffin,@profkrg) at 9 p.m. CST Wednesdays. We discuss a different student media-related issue during each chat, with the goal of helping you become the editor you want to be. Here’s what I learned from the first #EditorTherapy survey. It became clear to me when hosting the chat that sessions on these topics tended to garner the most participation, even if they didn’t generate the most discussion. Lots of retweets usually means you’re learning a lot, even when you don’t feel like you have much to add to the discussion. So, I’ll focus future chats on these topics, adding others now and then, just to mix things up. You also overwhelmingly said you would like to have more guests on #EditorTherapy. I get it, I’m sick of listening to me too. I’ll work to identify and schedule guests more regularly. The only frightening part for me about having guests is that you won’t show up and I’ll feel like I’m wasting their time. So, let’s come to an agreement. I’ll schedule more guests if you promise to attend the chat to engage with them. Deal? Fabulous! about 58 percent of you said it should continue through the summer. Timing was the thing that got the most open-ended responses. Some of you want #EditorTherapy to be during the day, but I’m not certain I can commit to a regular day time because of my changing course schedule. Some of you said Monday nights would be better, but that’s my staff’s production night, so that doesn’t work for me. Others said Tuesday night would be better for you, but my children almost always have athletics on Tuesday nights, so that also isn’t possible. 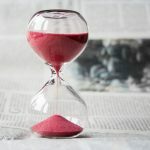 We’re just busy, so finding a time that works for everyone is tricky. I expected scheduling difficulties to show up in the survey. However, I wasn’t sure what I would learn about frequency. To respond to your needs, I plan to host #EditorTherapy every other Wednesday night (first and third Wednesdays) throughout the summer. That way we’re still meeting, but just not as often during the summer. I plan to start the weekly chats again in August. We’ll likely discuss the timing more as the semester approaches. It’s possible to schedule it during the day and just move it every semester, as necessary, but that sounds risky to me. Again, thank you so much for your feedback. I want to continue hearing from you and learning what you want from #EditorTherapy. Feel free to message me or comment below with more thoughts or advice. Also, check out our Editor Therapy Facebook group, if you haven’t already joined.